Medicinal Mushrooms is only available to members of Steven Horne's Member program. We usually think of mushrooms as something you eat (or something you were warned in childhood not to eat). 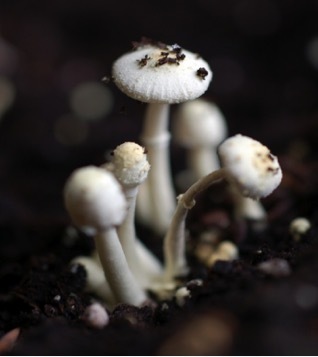 Some people may even associate “shrooms” with getting high. But few people in modern times realize what valuable health allies mushrooms can be. In ancient times, many mushrooms or fungi were highly prized for their healing properties. The use of medicinal mushrooms in traditional Chinese medicine dates back thousands of years. Today, scientific research has confirmed that more than 270 species of fungi have therapeutic properties. Besides their nutritional value, many mushrooms have bioactive compounds, including complex polysaccharides, triterpenoids, beta-glucans, and proteins. These compounds can help to stimulate the immune system to fight infections or calm down the immune system in auto-immune disorders, thus helping the immune system to function better all the way around. Other compounds in mushrooms have antioxidant, anti-inflammatory, cholesterol reducing, hepatoprotective, antidiabetic and blood pressure reducing properties. Some even have adaptogenic (stress-reducing) effects. In this month’s Sunshine Herbal Hour, we’ll discuss four important health promoting mushrooms like: reishi or ganoderma, maitake, cordyceps and shiitake. We’ll also learn about herbal formulas and supplements that utilize these beneficial fungi to resolve a wide variety of health issues. Join us and learn how these friendly fungi can improve your health.